As I look back on my first year as its administrator, I see Kay Lasante as a gift from heaven to the Haitian community. Hired as the administrator in June 2016, I have worked hard for a year to provide new touches to the clinic based on Haitian culture and the reality of the country. But since coming to this small medical clinic in Petite Place Cazeau, the staff members have surprised me with the level of dignified care they give to the people of Haiti. What makes our clinic unique in Haiti is not simply the free and professional care they provide – but that they do it with such respect. I have worked for other relief organizations, and other community clinics in Port-Au-Prince. Yet, the sense of dignity is what stands out to me at Kay Lasante. The nurses give their patients a level of consideration that could not be expected even in paid health care settings. They listen. They educate. They provide formation and guidance. 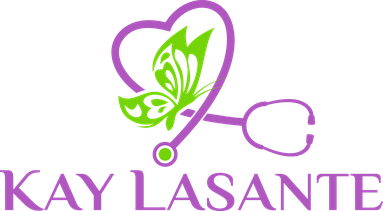 We see a large amount of patients at Kay Lasante. Some struggle to understand even why they are ill. Many don’t have even basic information about their disease. Others believe they have been cursed. The role of our doctor and nurses can be medical, educational and even psychological for these patients. Though our clinic is small, once a patient arrives we always do our best so that they will not go home without relief. As the administrator, I build on the successful efforts of Johanna Berrigan, Bishop Tom Gumbleton and the Board in the United States, who did so much to form a staff that gives the Haitian patients what they need. Just as importantly, the Kay Lasante team and I offer these services by relying upon the generous donations of people in the United States. I love my job at Kay Lasante, and love that it has flourished as a gift to my community. "... the Kay Lasante team and I provide these services by relying upon the generous donations of people in the United States."